We pride ourselves on doing things a bit differently. Instead of taking on vast numbers of graduates and interns, we keep things small and personal. That way, everyone has a tailor-made experience to help them grow. But above all, we understand the importance of balance. It's why we're global but close-knit. Ambitious, yet inclusive. What sets us apart from other banks? Aside from our exclusive graduate intakes, we believe our difference is a result of our open, collaborative culture and shared set of values. Plus, our analysts benefit from exclusive intakes and access to senior colleagues from day one. As we hire on potential, you don't need to have a financial background. We'll ensure that, through training and experience, you'll gain the skills you need to excel. You'll have the opportunity to complete rotations to understand how different parts of the business work together to serve our clients and to build networks across the firm. Our size means that you'll have exposure to more sectors and markets than you might elsewhere. We are here to support you, you just need to bring the right attitude and a willingness to learn. Whether you're interested in working in Coverage, a client relationship manager or becoming a product specialist, our bespoke development plans will help you meet your ambitions and goals. Our values tie in closely with our vision and our mission. Together, they form the foundation of our global business. They are what make us unique. We strive to be a foundation of strength, committed to meeting the needs of our customers, serving society, and promoting shared and sustainable growth for a better world. We strive to be fair, transparent, and honest; always acting in the best interests of the customer and society as a whole. We respect the diversity of our workers and foster a strong spirit of teamwork, while practicing the highest levels of professionalism. We anticipate opportunities for growth and adopt a responsive and dynamic workplace, where everyone is encouraged to embrace new challenges. Living by these values goes beyond the office walls. We invest time and money through our Corporate Social Responsibility (CSR) initiatives to help boost local enterprise, communities and charities. Because, as a financial institution, it's vital that we play a part in growing and strengthening society. Inclusion and collaboration are integral to our way of working at MUFG and it is important to us that our employees recognise that all opinions are valued and listened to. We are committed to making the most of all the different perspectives, backgrounds and experiences we have within the firm and this is why having a diverse workforce is important to us – we know that our collective power lies in our diversity and is a strong foundation for our success as a global organisation. Ensuring that we recruit from a diverse talent pool and retain this talent helps us challenge ourselves to grow, innovate and better serve our customers. 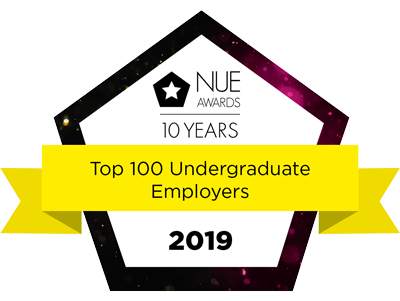 Having this diversity within our workforce also makes MUFG a stimulating and interesting place to work, with many opportunities to work with individuals from different backgrounds, cultures and with a wealth of different experiences to your own. Being inclusive and collaborative is central to our culture. It sees us help one another, and tackle complex challenges as a team. Put simply, we're in it together. And we'll never let our people down. Embracing gender diversity across all levels of our organisation. Celebrating our multiculturalism and driving cross-cultural collaboration. Nurturing our family-friendly working environment. Creating a culture of openness and acceptance around disability. LGBT inclusion and building a culture of Allies. Our people drive our success, and they come from all walks of life. 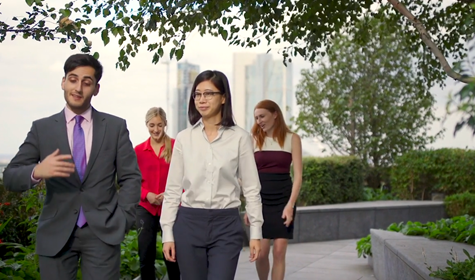 Meet some of some of our recent analysts discover why they chose to build their careers at MUFG.